With their natural sheen and strength, porcelain crowns give patients the ability to restore a tooth’s natural function and appearance. In the past, dentistry had to use metal for crowns. This was the only option for protecting a severely decayed or damaged tooth. The metal tooth was ugly in appearance. However, with better technology porcelain crowns have become the cosmetic choice when replacing missing teeth. Dental crowns (some times called “caps”) are custom made to fit over severely decayed or damaged teeth. This gives teeth strength and protects them from further decay and reducing sensitivity. Crowns improve the appearance of the tooth while strengthening a compromised tooth. Patients in Pasadena and Deer Park Texas are excited with the natural, custom computer made crowns. 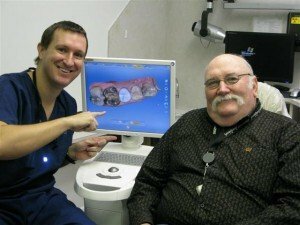 Dr. Nugent utilizes the CEREC system and is able to fabricate your crown in one visit. fit offered by tailor-made porcelain crowns. Protection: A porcelain crown acts like a helmet. It protects a damaged tooth by restoring the tooth to proper for and function. Cosmetics: Crowns made out of metal are ugly. Porcelain is semi-translucent and mimics the luster of a real tooth. This is vitally important for improving your smile when a front tooth is involved. Color: Porcelain crowns can be tinted and stained to match your teeth. Function: Porcelain crowns restore your natural biting and chewing abilities. Beautiful. With their natural appearance, porcelain crowns are the best cosmetic solutions when restoring severely broken down teeth. Longevity: Porcelain crowns have the strength and resilience necessary to withstand the forces of chewing. Easy Maintenance: No special care is needed to take care of a crown. You brush and floss around your crown just like you would a natural tooth. Does not stain: Porcelain will not change color or stain. Comfort: A crown made by a cosmetic dentist will look, feel and function like a natural tooth. Strength: Decay and fractures weaken a tooth. A crown will protect the broken down tooth and return the strength of the tooth. Our office is located at 3421 Burke Rd, Ste A, Pasadena Texas 77504. We see patients from Pasadena, Deer Park, La Porte, League City and Friendswood. 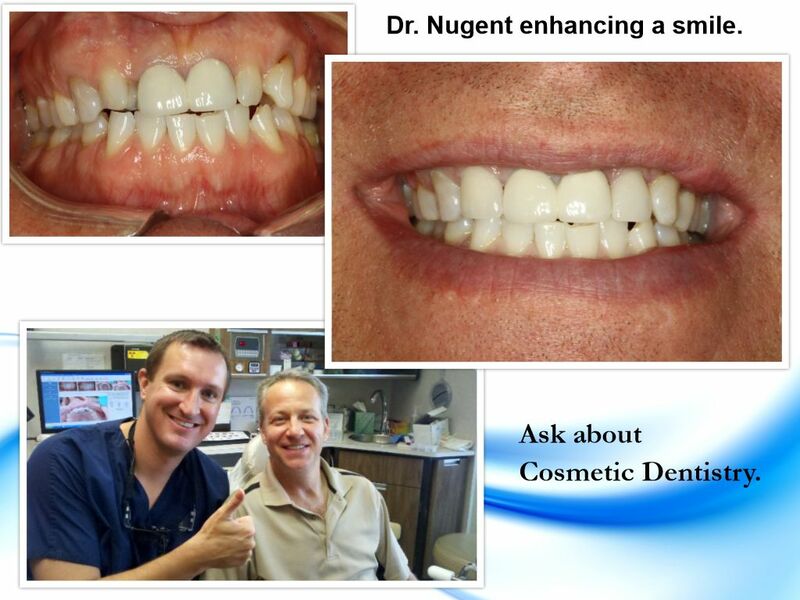 Dr. Nugent is focuses on Cosmetic, Family, Implant and Sedation Dentistry. 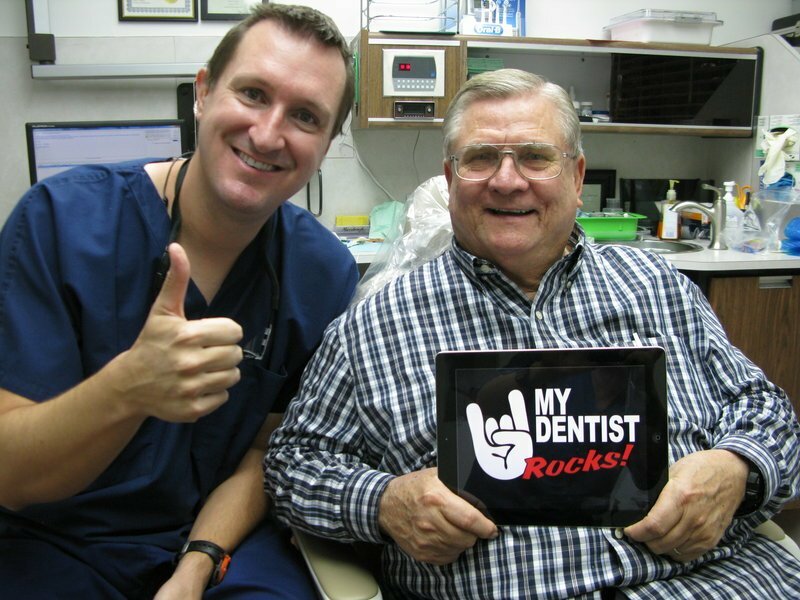 Dr. Nugent has been voted “Best Pasadena, Texas Dentist” multiple times. Call our office today at 713-941-8261 to schedule and appointment.